Matcha is still a pretty new concept in the West. This means that people sometimes mess up and buy low quality Matcha, which leaves more than just a bad taste in their mouths. Matcha has an over 800 year history in Japan and is truly a part of the culture there. Because of this most Japanese people can tell the difference between high and low quality Matcha and some can even tell the difference between Matcha and imitations including Sencha powder. We’d like to give you the same understanding of the differences between quality Matcha so you can make the best decisions. You need to start with knowing there is a difference between “drinking grade” Matcha and “ingredient grade” Matcha. Drinking grade Matcha should have a nice finish with no bitterness. It’s supposed to be drank in the traditional style, which is just whisked with some water. If you were to cook with drinking grade Matcha or try and turn it in to a smoothie you destroy the flavor of the Matcha. Ingredient grade Matcha on the other hand is more bitter and tastes like green tea. This kind of Matcha is made to be mixed with things like milk, flour and sugar. This balances the flavors while still having the nice flavor of green tea. The first thing you want to take a look at is the price. Matcha is expensive thanks to the arduous process of growing and harvesting the herb and then turning it in to Matcha. Generally you should expect to pay around $30 for 30g of Matcha. If the price is significantly lower than that you’re definitely getting low quality Matcha. There are far too many companies out there selling this low grade Matcha as drinking quality. This damages the reputation of Matcha because people who use low quality Matcha as their first drink of Match associate that bitter taste with all Matcha. They may never try high quality Matcha after that. The second thing to look at is how the Matcha actually looks. It should be a nice green, almost a jade green color. Low quality Matcha tends to have a brownish or yellowish hue to it. The green of Matcha is caused by chlorophyll that is created in high amounts when plants such as Matcha are grown in the shade. Matcha with this brownish or yellowish hue is older and has spent too long in the sun. Smell is another big indicator. 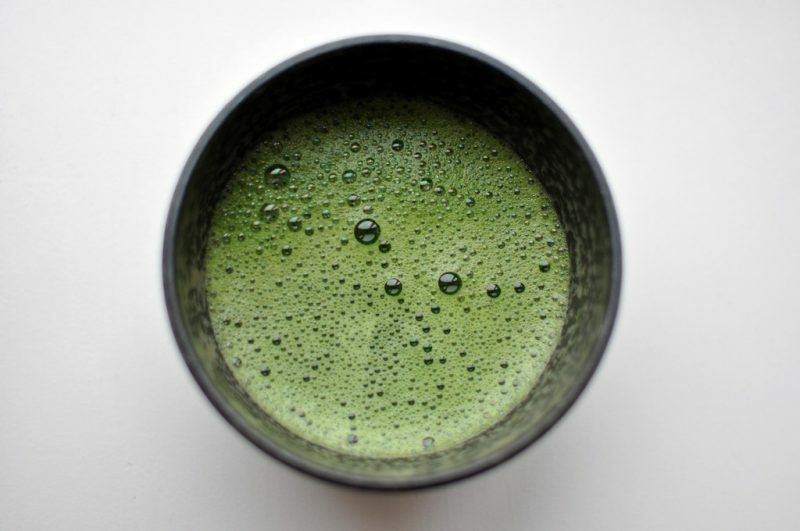 Healthy and high quality Matcha has a sweet smell to it that is a little pungent. The sweetness in the smell is caused by the amino acid L-theanine, also caused by growing in the shade. When tea is grown in the open it loses these amino acids as they are turned in to catechins. Without that L-theanine there isn’t a sweet smell so if it isn’t sweet it’s low quality. Of course taste is a pretty big factor too. These amino acids also give the tea a taste as sweet as the smell. 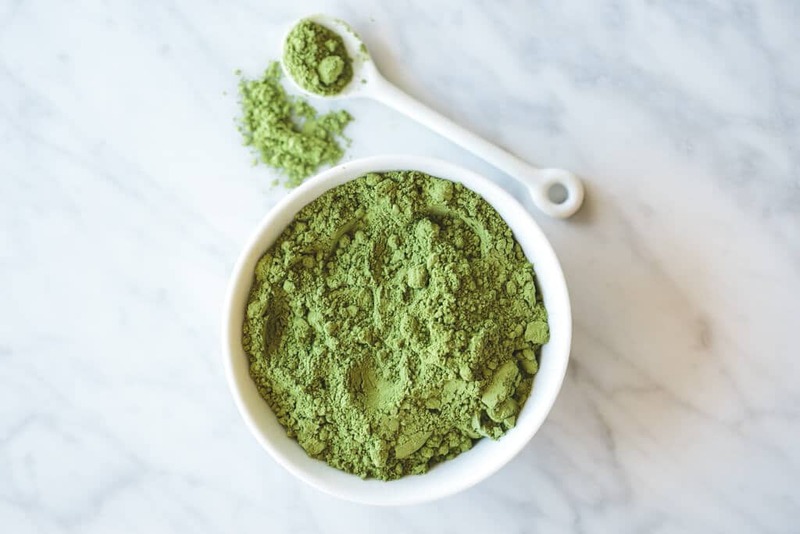 Ingredient grade Matcha and other open air green teas have a bitter taste that is caused by a lack of amino acids. Some would go so far as to say that Matcha has an umami taste. Umami is the fifth kind of taste and is described as being savoury. It goes alongside the other four tastes of sour, bitter, sweet and salty. Next you have to test how the Matcha feels. Great quality Matcha has a fine and silky feel. It feels like eye shadow or baby powder. Although it’s actually finer than baby powder at only 5-10 microns. 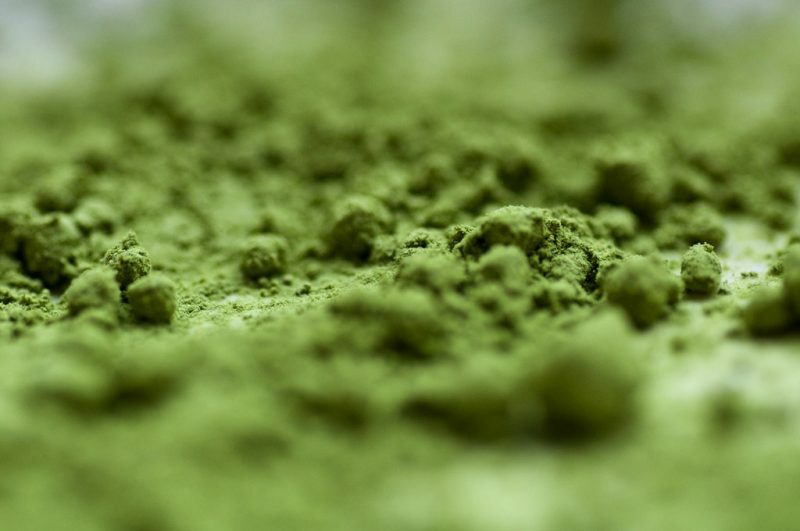 Low quality Matcha has a larger particle size which gives it a coarser feel. You can also test Matcha by putting a little bit of it on to a piece of white piper. Smear the Matcha across the page using your finger. High quality Matcha leaves a long and unbroken line while low quality Match has a short and broken line. There’s one last test you can do when you make a bowl of Matcha. When you’re whisking the Matcha you should be able to make a creamy froth layer on top of it. If the Matcha is low quality it’s much harder to make this layer and you’ll have air bubbles that are too big, or just no froth at all.